Abundant sunshine. High around 75F. Winds SW at 5 to 10 mph..
Echo Park — After nearly 50 years, Celaya Bakery closed its doors on October 28. It was one of the last Mexican panaderias in a gentrifying neighborhood where many long-time businesses have been closing. “A combination of the changing demographic in Echo Park and costs of operating business began to take a toll,” said Andres Quiles, grandson of the original owners, Socorro and Manuel Caudillo. Celaya opened on May 3, 1970, taking over a Jewish bakery, Quiles said. Socorro, Manuel and their four daughters were there from opening until closing. The Caudillo family practically lived at the bakery, splitting their time with home and school. Throughout its years, the most popular items were the conchas (Mexican sweet bread) and bolillos (variation of French bread), he said. When Socorro retired, daughter Patricia took over the business. Many people were completely heartbroken by the news of Celaya’s closure, Quiles said. 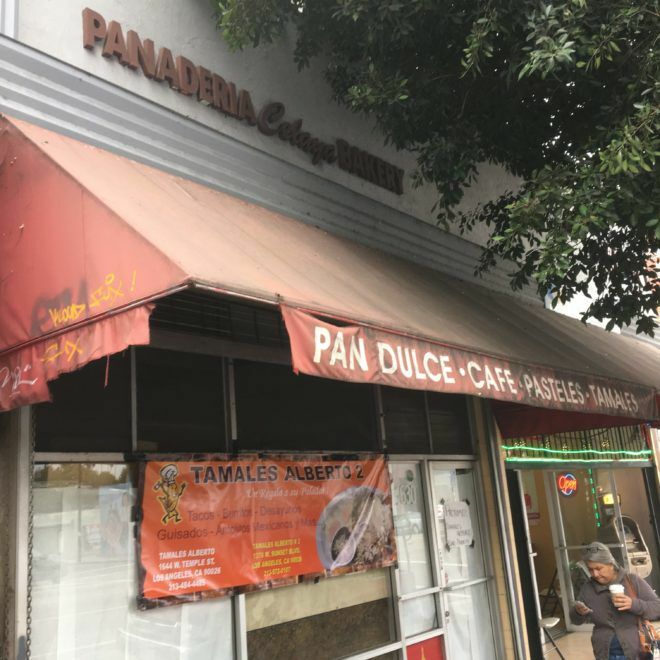 “In the last days of Celaya, past and present customers were able to get one last order of pan dulce and bid their farewell to an old Echo Park classic,” he said. Jorge Mejia, whose father, Alberto, opened the tamale shop, said he expects his family’s newest outlet to open in the Celaya space in about two weeks. For now, those customers who want pan dulce baked in Echo Park will have to head a few blocks to La Espiga at the corner of Glendale Boulevard and Scott Avenue. Tamales Alberto No. 3 will be at 1630 W. Sunset Blvd.